Strict constructionists, ever on guard against activist Supreme Court Justices finding new rights in the Constitution, should have been appalled, lest they be hypocrites, by the 2008 decision in District of Columbia v. Heller in which only the five conservative justices found a new right where every preceding court for 200 years had failed. Namely they "discovered" that the Second Amendment applies to individuals, not just well regulated militias. The Bill of Rights is a paragon of conciseness. None of the first ten amendments, save one, wastes a single word on explication or justification. The Second Amendment reads in its entirety, "A well regulated militia, being necessary to the security of a free state, the right of the people to keep and bear arms shall not be infringed." Fully 13 of 27 words are justification. What are we to make of this solitary instance of verbosity in all the Bill of Rights? Shall we insult the Founding Fathers by claiming these words are superfluous? No. By construction the "militia" clause qualifies the remainder of the sentence. 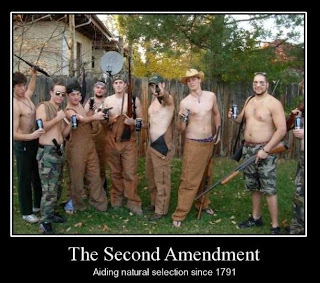 Clearly, the Second Amendment is meant to facilitate the arming of militias, not personal arsenals. This does not mean individuals cannot or should not own guns. It simply implies that duly elected legislative bodies have the right and duty to ensure public safety by enacting reasonable limitations on the owning and carrying of firearms. Politicians who pander to monsters from the Second Amendment by supporting NRA sponsored concealed-carry laws and oppose reasonable limitations on magazine size and military assault weapons are culpable for tragedies facilitated by their actions. They must be held accountable, not with Second Amendment remedies, but at the ballot box. See definition #2. 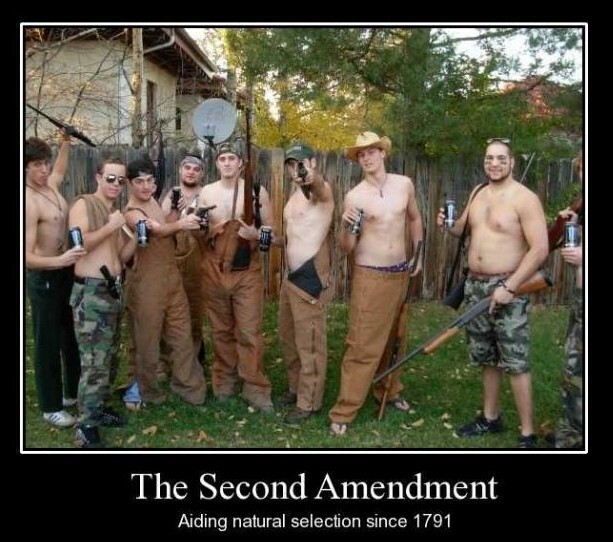 The 2nd Amendment applies to any Male in the US over 18. We're just not sexist about it's application. Thanks for the reply Anonymous. Just like the Second Amendment you have to read the qualifying clause. Since we no longer have a draft, definition 2 includes exactly nobody.